The Urology Group has sponsored several events centered on veterans since 2015. Doctors are duty-bound to treat patients’ problems—and a group of Cincinnati-area physicians goes out of its way to do much more than that. 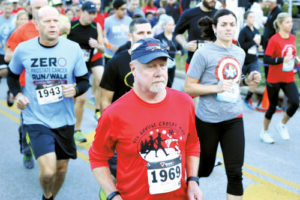 The Urology Group sponsors events ranging from a 5K charity race to gatherings honoring military veterans. The reason: to demonstrate how much these physicians care about their patients as people—and to contribute to the community at large, says Dr. Gary M. Kirsh, president of The Urology Group. Since The Urology Group’s inception in 1996, its physicians have sometimes even treated multiple generations of the same family, Kirsh says. 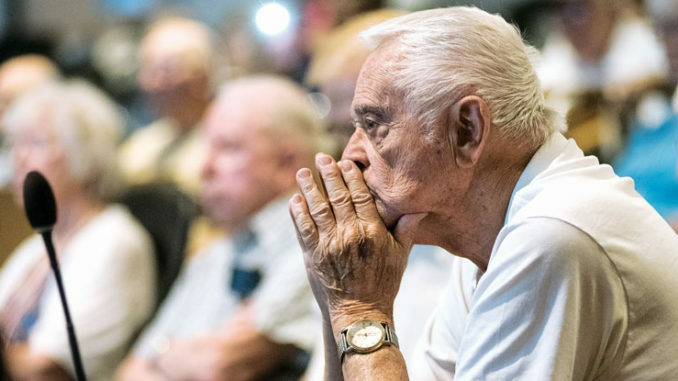 A large percentage of The Urology Group’s patients happens to include men who served in World War II or the Korean War, the physicians noticed. So the doctors felt compelled to acknowledge those veterans. 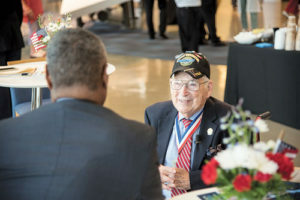 First: In 2015, The Urology Group covered expenses for four Cincinnati-area World War II vets to travel to Washington, D.C., for the 70th anniversary of V-E (Victory in Europe) Day, the day the WWII Allies accepted Nazi Germany’s surrender, ending six years of battle in Europe and sparking celebrations across the globe. Second: In 2016, the Urology Group marked the 75th anniversary of the bombing of Pearl Harbor with a program for World War II veterans. About 70 participants came to the Sharonville Convention Center for the largest such commemoration in the Cincinnati region and possibly one of the biggest unofficial events of its kind in the nation. Veterans added their personal stories to a “living-history” project that Princeton High School students were compiling. 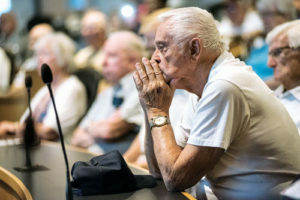 Third: Last July, about 75 Korean War vets attended a patriotic celebration of the 65th anniversary of the armistice that ended fighting on the Korean peninsula. Co-sponsored by GE Aviation, the gathering at GE’s Cincinnati-area learning center featured a display of GE’s J47, the jet engine that powered the F-86 Sabre, the first U.S. “swept-wing” fighter. That jet, with its iconic backward-angled wings, faced off against the Soviets’ comparable aircraft. The Urology Group is a sponsor of The Gentlemen Stakes 5K for Prostate Cancer. About 75 Korean War veterans attended an event at GE Aviation last July. Another major initiative: This year—for the 12th time—the Urology Group will sponsor a 5K race to raise money for research on prostate cancer. “This is very dear to our hearts and to our prostate cancer patients,” Kirsh says. The race is the nation’s second-largest benefiting prostate-cancer research, often drawing upwards of 1,000 runners and walkers each year. In 2018, the race was held for the first time at Belterra Park, Cincinnati’s iconic horseracing facility, formerly known as River Downs. “It was the first charity run for humans ever held at the historic racetrack,” Kirsh says, explaining why the race was renamed The Gentlemen Stakes 5K For Prostate Cancer. Last year’s event raised more than $115,000 for ZERO—The End of Prostate Cancer, a nonprofit agency that strives to create “Generation ZERO,” the first generation of men with zero incidents of prostate cancer. 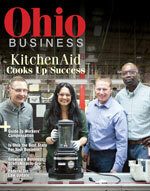 Plans for this year’s 5K run/walk are in the works. For more information, visit theurologygroup.org.